There are finally enough people visiting ChemFeeds (~150/day) that metrics like most accessed chemistry paper might actually be statistically significant information. So below I present the top two most clicked on abstracts from ChemFeeds for the first third of 2010. Some Notes on the metrics. This information probably says more about the people visiting ChemFeeds than the quality of the papers. It would appear ChemFeeds visitors skewer heavily towards the organic synthetics. Perhaps with the recent addition of being able to click on category feeds like all materials and all physical feeds it’ll balance out. Is Chemistry Incompatible with Web 2.0? A recent ChemJobber post notes that C&E News Editor-in-Chief Rudy Baum‘s editorials sometimes have a tendency to approach the controversial – and sometimes the purely political. I wanted to discuss this weeks editorial which threatens to call into question much of my online existence (sorry, Mitch. If Rudy’s right, I think you’re about to spontaneously e-implode). In this week’s editorial, “The Limits of Web 2.0,” Baum decries the cliché “information wants to be free” for both its out-of-context usage (the full quote says information wants to be expensive because it is valuable and free because the cost of information dissemination is shrinking almost hourly – thus a struggle) and for its lunacy (information can’t wish for anything – it’s inanimate). Rather, Baum says that it’s people who wish that information would be free. I’d amend Baum’s correction slightly. People really want information to be free and readily accessible. I’d argue public libraries have long made most information “free,” if you were willing to do the legwork to get it. But the bulk of Baum’s editorial promotes Jaron Lanier’s book You are Not a Gadget: A Manefesto, and summarizes Lanier’s main points, namely that the wisdom of crowds can be dangerous and science should be loath to adopt web 2.0 ideals. Lanier points out that around the turn of century, a “torrent (a word hijacked by the web 2.0 crowd -ed.) of petty designs sometimes called web 2.0″ flooded the web. And through the use of web 2.0, we apparently are losing sight of the trees for the forest, er, the taggers for the cloud. Baum writes in his editorial (cross-posted for free on the web 2.0 CENtral Science blog, natch), “The essence of what Lanier is saying is that individuals are important and that we’re losing sight of that at our own peril in elevating the wisdom of the crowd to a higher plane than the creativity of a single person.” That is, we are valuing the cloud more than the individuals, when the cloud can’t exist – and has no meaning – without the existence of the individuals. Lanier notes that collective intelligence can be used well, but only when guided by individuals who can direct the course of the hive mind and help steer clear of common groupthink pitfalls. 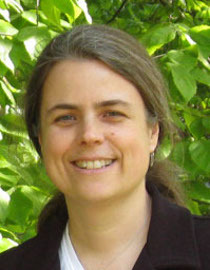 But to Lanier’s thesis that science ought to be wary of embracing web 2.0 and its ideals, I find it interesting that Baum writes his editorial at C&E News, the magazine of the ACS, whose flagship publication, the Journal of the American Chemical Society, has featured a JACSβ page for some time now. The same C&E News whose blog has become so popular that it had to split off into several child blogs. Where each post for each ACS article has links to share the article on one of several social networking sites. Where scientists can now browse their favorite article on their iphones with ACSMobile. While perhaps late to the party in some areas, the American Chemical Society has certainly ‘logged on’ to web 2.0 as a way to export content to the web-savvy scientist. Plus, we have our own Mitch, a one man walking encapsulation of web 2.0. His most successful application is, in my opinion, the chemical forums, which typically sees between 8,000 and 11,000 visitors per day. This blog seems to be a big hit, and his ChemFeeds is a one-stop source for your aggregated list of your favorite journals’ graphical abstracts. All this innovation on Mitch’s part earned him an interview with David Bradley (of ScienceBase) in his chemistry WebMagazine, Reactive Reports. There’s also the Chemistry Reddit as another outlet of chemistry news and notes. In the inaugural issue of Nature Chemistry, the Nature Publishing Group recounted how they have completely bought into web 2.0 as a means of science communication – each issue of Nature Chemistry even features a roundup of their favorite posts from the chemical blogosphere (which reminds me, to the left, Mitch has also created an aggregated rss feed of several popular chemistry blogs). And, of course, web 2.0 in the sciences has been discussed in the blogs several times over the years. We have over 3 pages of posts categorized Web 2.0, mostly Mitch’s posts on new web 2.0 platforms he’s developed. 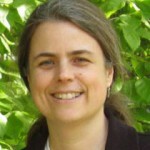 Jean-Claude Bradley writes about web 2.0 in response to a very interesting post at Nascent, a blog from the folks at Nature. So, all of these prove that web 2.0 has been talked about many times in the context of science. Has it worked? With the exception of blogs, sadly I’m inclined to say no. At least not yet. And even with blogs (with the possible exception of All Things Metathesis, and In the Pipeline, though Derek isn’t allowed to talk about his work b/c of intellectual property issues), not a lot of academic or industry leaders are prone to blogging. It’s not like we’re reading Phil Baran’s blog and getting inside his head on a daily basis. Especially if there are people at the position of Editor-in-Chief for arguably the top chemistry magazine denouncing the web 2.0 movement, clearly it has a ways to go before it will be appreciated by all to the point where web 2.0 is ‘taken for granted,’ where we don’t even realize what we’re doing when we post results and opinions via web 2.0 technologies. Recently, Cassandra Fraser’s group reported on a very cool property, reversible mechanochromic luminescence, observed in an easy to make material. 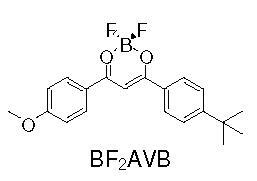 [JACS] The molecule of interest is the difluoroboron complex of avobenzone (BF2AVB), that UV absorbing molecule in your sunscreen minus the boron and fluorines. In broad general language, mechanochromic luminescence describes the ability of some materials to change colors after scratching under UV light. The image below shows BF2AVB coated on weighing paper (A), a cotton swab is used to write “Light” (B), the surface is hit with a heat-gun (C), the surface is ready to be written on again with a cotton swab (D). The image brings up all kinds of creative ways to write secret messages, especially as the letters will fade over time even without using a heat gun. But before the CIA intelligence wonks in the audience get ahead of themselves the material doesn’t seem to be completely reversible at room temperature without annealing. …even a small mechanical perturbation, such as a slight touch with the tip of a cotton swab, changed the green-blue BF2AVB film emission to yellow. The yellow emission gradually reverted back to green again at room temperature, with much faster recovery at elevated temperature. The written regions were no longer readable after annealing. The field has, in short order, gotten tantalizingly close to a 100% reversible mechanochromic luminescent material at room temperature. Congrats! Update and Correction: Cassandra Fraser has corrected me, apparently the wording of the paper was just awkward to my ear, the material is fully reversible at room temperature!